Finding the perfect home for you is not something to take lightly and Trent Compton understands that. Spending the vast majority of his life in the DFW area, Trent has a broad and extensive background in various industries. While starting in sales and moving into the insurance business, Trent met his wife, a Pennsylvanian. After convincing her to move to the great state of Texas, he figured out how much he loved showing her around the DFW area and finding their own home in Fort Worth, Texas. Once he acquired his real estate license and realized he was going to be a father to twins, he helped his wife find their now forever home in Flower Mound, Texas. Trent understands the team effort it takes to find that perfect place and gets personally invested in helping his clients discover their dream homes. His energized and hardworking personality is an asset to any one trying to find their perfect place to live. He will labor to not only find your dream home but also utilize key negotiating skills to dig for the best deal. 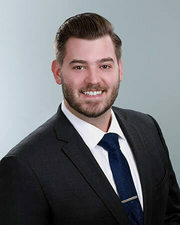 When Trent is not working in the real estate industry he enjoys cooking and barbecuing for his family, fishing, watching football, and woodworking. Buying or selling a property of any kind can be a fun and exciting experience when you partner with Trent as your trusted professional.